Take to the tracks in one of the world’s most technologically forward racing circuits with the Yas Marina Circuit Tour. This tour is ideal for those of you who are racing fanatics or wish to observe where all the behind-the-scenes action happens. 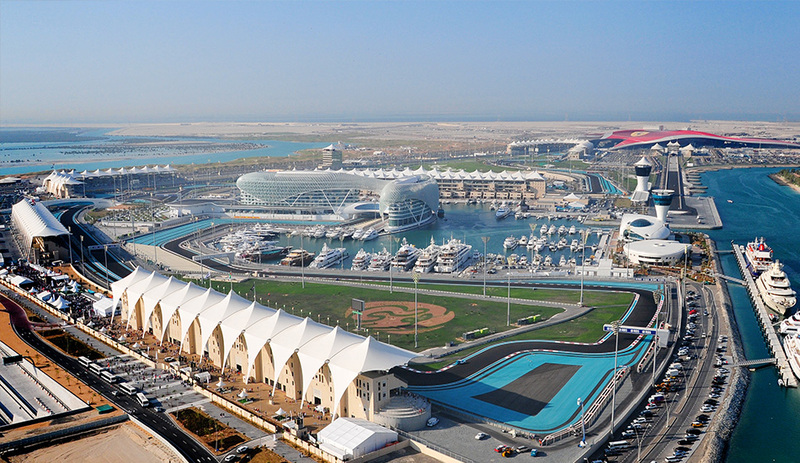 Situated in the famous Yas Island in Abu Dhabi, the Yas Marina hosts Formula 1 races of international acclaim. Get backstage	access to restricted areas and have the time of your life admiring the high-tech gadgets that make this multifaceted track a	success among racers and spectators. You will be taken to the important stops in Yas Marina Circuit on an air-conditioned bus. The first stop will be Yas Central where the Yas Racing School is situated. You can observe the racing activities that are	conducted by the school happening in this area. You will be explained about the different types of racing cars that are used	in the circuit, including the new F1 model. Then you will head to the North Grandstand where you can admire the racetrack and	imagine what the spectators can see when all the speedy action is taking place. Continue on the race track by bus and drive	past the Kartzone, Drag strip, Yas Marina View and Shams tower. Gain access to off-limit areas like the Race Control Room,	the Paddock section as well as the F1 team garages and pits. This behind-the scenes tour allows you to get a good idea of	all the effort and technology that goes to making an F1 race a successful one. This tour also comes with a prize; a photo	of you standing on the podium, proudly holding up a race trophy. It doesn’t get any better than that.